Brad Pitt has splashed out on a jet for Angelina Jolie so they can see each other while he’s shooting World War II movie Fury in London. 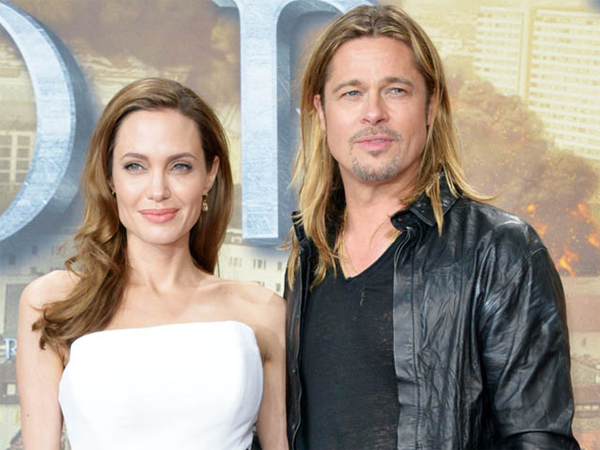 Brad Pitt has bought a private jet for Angelina Jolie. The World War Z actor has splashed out on the aircraft for his fiancée ? who has held a pilot's licence since 2004 ? to enable the couple to see each other more as he’s currently shooting World War II movie Fury in London, while the Salt actress is directing war film Unbroken in Hawaii. A source told heat magazine, "Brad wanted to gift Angelina with a jet for trips between the set of Fury in London and her set of Unbroken. "He told her that she can choose the plane and he will pay, that way they can fly back and forth to see each other, and Angelina's always wanted to fly a jet across the ocean anyway." The 38-year-old actress ? who raises six children, Maddox (11), Pax (8), Zahara (7), Shiloh (6) and four-year-old twins Knox and Vivienne, with Brad ? was inspired by the couple's eldest son to take up flying because she wanted him to think of her as a superhero. She previously said, "Every time Mad sees a plane, he's amazed. If I could actually fly a plane . . . I'll be like Superman to him."